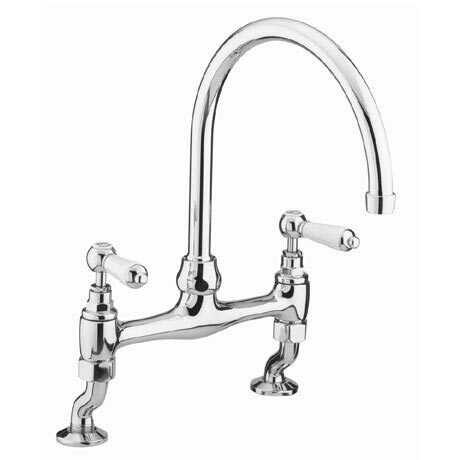 The elegant period design of the Renaissance Deck Kitchen Sink Mixer features sleek contours with easy to use lever controls. Bristan's classic collection of traditional kitchen taps offer superb style that will stand the test of time. Constructed with an all brass body with white ceramic levers, this tap is suitable for all plumbing systems. Guarantee - 5 years covering manufacturing faults. Special effect finishes are covered by a 3 year guarantee.